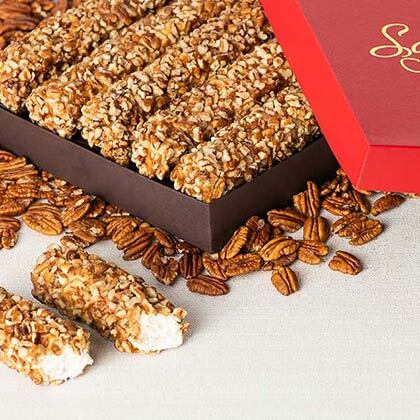 We take a center of creamy nougat, dipped in our made-from-scratch caramel, then rolled in a crunchy bed of chopped Georgia Pecan pieces, to create this iconic Southern Pecan Log Roll treat. 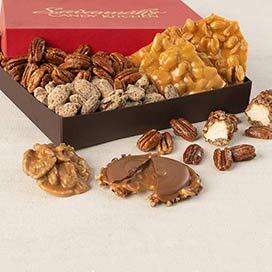 Each signature Savannah Candy Kitchen gift box contains five 7 ounce Log Rolls. I purchased for my son and the title came from him! He told me he loved this candy, so we will purchase again soon. Dec 8, 2018 | By Martha D.
I have purchased these pecan log rolls before and they never disappoint. I first tasted pecan log rolls on a road trip as a child and these candies are better than my memories. I look forward to buying them again next year. Delicious! 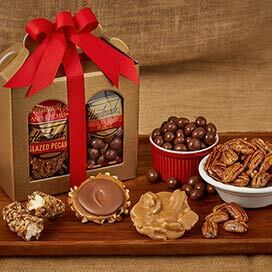 We have tried other candy shops & these are the best pecan logs, by far.